If I Rear End Someone, Is It Always My Fault? | Branch & DhillonBranch & Dhillon, P.C. How is “Fault” Assigned in Rear-End Collisions? When it comes to car accidents, being “at fault” generally means that not only did the collision occur due to your actions, but also that the accident could have been avoided if you were taking the appropriate steps. In other words, being at fault means that you were negligent in your driving. One of the first things that is usually done by insurance companies and attorneys is determining which driver was at fault for an auto accident. In a “fault” state, this will control whose insurance company pays for the damages. It will also control whether you deserve additional damages from the driver who caused the collision. If you rear-end someone, you are automatically assumed to be at fault because it is your job to maintain a safe following distance. Even if a driver in front of you stops immediately, you should be following far enough away that you should be able to stop without hitting them. Therefore, it follows that if you did hit a driver from behind, you were already following them too closely. Even if they had performed a maneuver (such as having to slow down because of something in front of them), you should have been able to avoid the collision. However, in real life, it is not always that simple, and the courts are aware of this. When might you Not be at Fault for a Rear-End Collision? Consider a situation in which a driver suddenly shifts their vehicle into reverse in traffic. Although the front of your car technically collided with the back of theirs, the driver was coming towards you in a way that you couldn’t maneuver away from. Likewise, a driver could shift into your lane very close to you (in other words, cut you off) and then slow down so quickly that you do not have enough time to slow down yourself. A driver could also be negligent in other ways, such as having brake lights that do not function or leaving their vehicle stopped in the middle of a road. It should also be noted that fault can be shared: it can be found that you are at fault for driving too close while the other driver is still found at fault for maneuvering dangerously. Comparative negligence is a method of splitting the liability for an accident between drivers. In pure comparative negligence, the burden of the accident is split between both drivers depending on fault. If one driver is 70% responsible, they pay 70% of the costs. In modified comparative negligence, the plaintiff cannot be reimbursed if their own negligence is found to be greater than 50%. Comparative negligence means that even if a driver feels as though they were partly at fault for an auto accident, they may still be able to recover some of the costs associated with their accident. Consider a case in which someone experienced $100,000 in medical damages following a rear-ending, and they are found to be 10% negligent because they were following too closely. They may still only have to pay 10% of the costs of the accident, with the other driver paying the other 90%. Thus, even though a driver may be considered to be “at fault” for a rear-ending accident, that does not necessarily mean that they are going to be legally responsible for all of the costs associated with that auto accident; it only means that their actions contributed to the collision occurring. 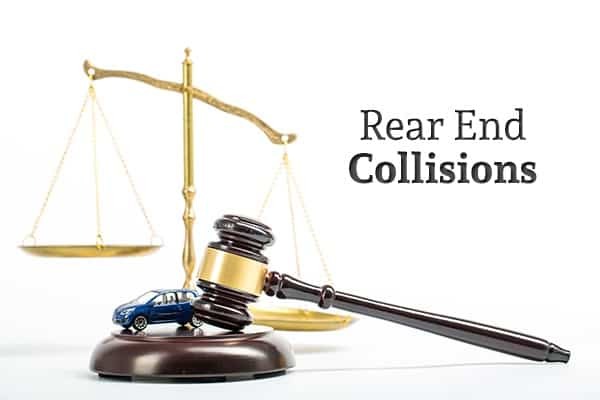 If you have been involved in a rear-end collision, getting legal help is important. Not only can rear-ending accidents cause significant damage, but it is often the presumption that the driver in back is the one who is “at fault.” The attorneys at Branch & Dhillon can prove that you were not at fault or only partially at fault for the rear-end collision. Contact the offices of Branch & Dhillon today to find out more.